Brandi Randle is the Program Specialist at our SBDC Satellite Office in New Braunfels. Brandi assists with providing valuable information about services provided by the SBDC. She coordinates and organizes training workshops, assists with special events and keeps clients and stakeholders informed with marketing and email communications in the Seguin/New Braunfels area. She produces reports for internal and external partners and is responsible for outreach in the Seguin/New Braunfels area, as well as being a liaison to San Antonio office. 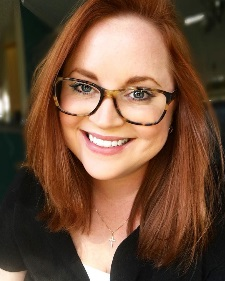 Prior to joining the SBDC in 2016, Brandi has eight years of experience in non-profit management – administrative, project management, grant writing and reporting, data analysis, fundraising, and crisis intervention. Brandi holds a Bachelor of Science in Paralegal Studies and a Master of Science in Non-Profit Management from the University of Great Falls – Montana. She is a die-hard college football fan and enjoys cooking, running, and spending time with family.